"... We have begun our move into the new house, and for a wonder are not in a rush, as we usually are when there is anything to be done ... The blessed old books have been unpacked, and are very neatly arranged in their proper order. The old book cases are up, just like home, and I can almost imagine I can see Papa walking up and down, stopping every now and then to look at or feel some pet book. I handle them just as if I was shaking hands with some old friends, whom I have not seen for some time. We will all be ready when you come, and you will find it home, home as you remember it, the same old kernel, only in a pretty new shell ... The style is Gothic, color pale lemon, trimming white, the lot is quite a nice one though not fixed up yet. 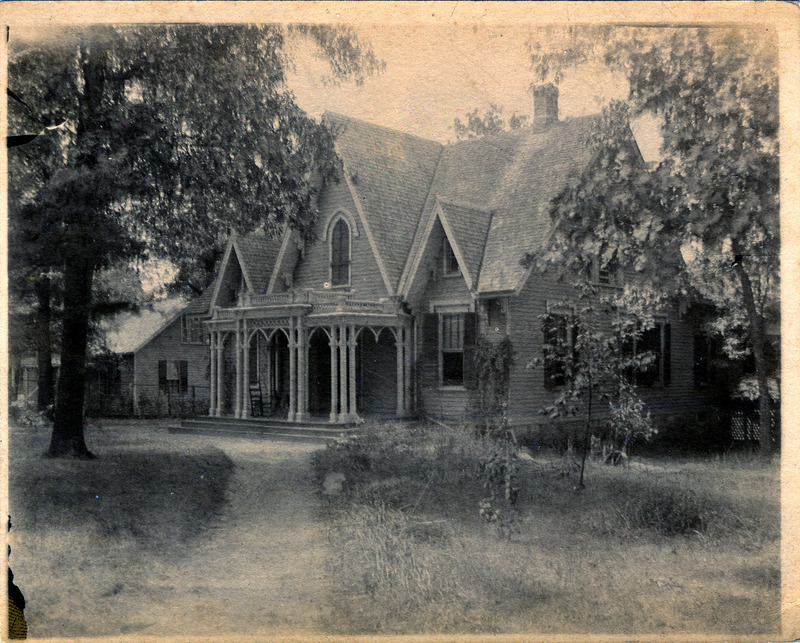 The place is named "Saints Rest"... On the South side of the big yellow house is a little yellow house occupied by ten youths...."
Miss Sada went on to become one of Sewanee's well-known personalities. Educated at Johns Hopkins University, she traveled abroad writing for Scribner’s and Harper’s magazines. However, after the death of her sister Charlotte in 1902 she returned to Sewanee to rear her three nephews, Stephen, Charles, and John Puckette. She was active in the suffrage movement and served as the president of Tennessee Equal Suffrage Association in 1912 and 1913. Miss Sada lived at Saints Rest until her death in 1928. On her tombstone in the University Cemetery is the inscription "Doctor of Civil Law,” denoting the honorary degree conferred upon her by the University of the South, an honor she greatly valued. In 1940, Miss Sada’s nephew, Dr. Robert Woodward Barnwell Elliott, retired from his law practice in New York City and came to live in the family home. Dr. Elliott gave valuable services as a lawyer to the University. The Elliotts did a great deal of alterations inside the house, adding rooms upstairs and several bathrooms; and they renovated the outside of the house, changing its entire aspect. Dr. Elliott is seen standing in the yard in the large photograph. At his death, he left the house to Mrs. Charles McDonald Puckette, the widow of a grandson of Bishop Elliott. This house is now occupied by Isabelle Puckette Howe, a descendent of the Elliott family that built it. Mrs. Howe calls the house "Sinner's Hope." For some time the house was called "Shoup Lodge" and was the residence of Brigadier Gen. Francis A. Shoup and his wife Esther Elliott Shoup. 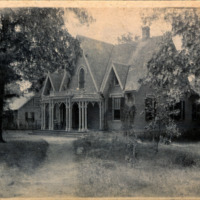 “Elliott House,” Online Exhibitions and Digital History, accessed April 22, 2019, http://omeka.sewanee.edu/document/266.